Check out Jim Carey’s website. He has about 2,000 songs with ukulele chords. You can download these as a complete songbook as as individual sheets. More relevant here, Jim has incorporated the Ukegeeks Song-A-Matic Online Editor into the site (see below). This means that you can “tweak” any of these songs before printing, e.g. transpose the key, edit the lyrics, change the chords, move the chords and so on. Transposing songs is not difficult but it can be dangerous. 1) Tune vice – you can make a simple ukulele tune vice at home using a coconut shell (both halves), a bottle of whisky and a thermometer. Rive at it with the key wrench and smack it hard with the chord hammer until your arms ache. Nobody knows how the groove thang works. Just leave it to tease the tune for a while and see what happens. If you don’t know what the thermometer is for, why are you reading this? If you have time, you can get better results by first boiling the tune and soaking overnight (use any whisky left over from making the tune vice). When finished and if inclined, polish with Grade A sandpaper. You can use French Polish on classical stuff with no ill effects. This could end in tears. One slip of the ice pick and you will be digging them out the ceiling and carpet for decades. 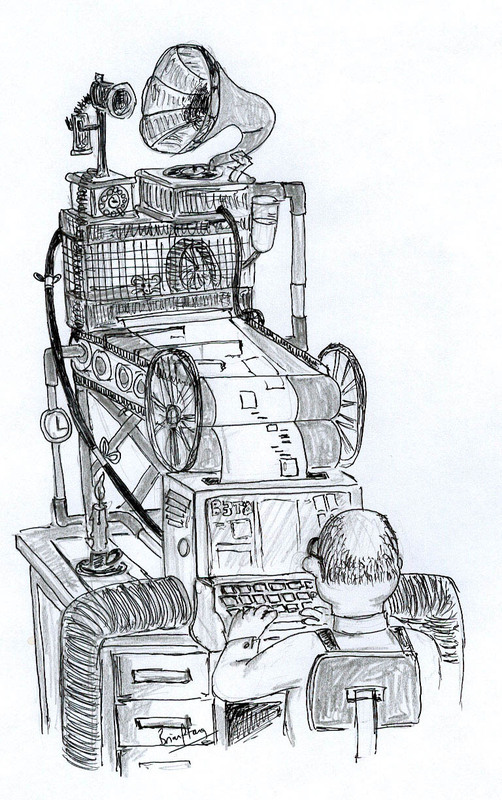 The Future: automated methods and the white heat of technology! The “personal songbook” is the key part here. You can create as many “personal songbooks” as you like. You can make a songbook “public” in order to “publish” your songs with chord names and chord diagrams. 3. Log in to your Chordie account. 4. Go to “My Songbook” (blue navigation tab just under the Chordie logo). 6. Look down the menu on the right for “Songbook: ADD”. Change to the correct songbook if necessary, then select “ADD”. 7. Do this for at least two more songs as you need to have at least three songs in your songbook before you can “publish” it. 8. When you have finished, go back to “My Songbook”, select the songbook you want to publish and customise the settings. These settings will apply to the whole songbook. For example, specify the sort order and instrument. (If you change the instrument you need to select “Change” after you have specified the instrument). write some notes to be displayed about your songbook. …just replace the my_server/directory/file with the correct address. NOTE: Your file name does not need the extension “.chopro” – it could be “.pro” or “.txt” or “.CRD” – but it must be a “plain text” file using “Chordpro” formatting. This works – I have tried it. You need to create simple text files but use “chopro” (ChordPro) formatting – not as difficult as it sounds. Chordie recommends that for the best results you should use the filename extension “.chopro” or “.chordpro” rather than “.txt”. Just rename your file from “songname.txt” to “songname.chopro” or “songname.chordpro”. The info on Chordie mentions a “Google service” where you can host your files for free. If you use the filename extension “.txt” you can upload your files to Google Docs. You need to make them “public” to let the Chordie Renderer access them (I have not tried this but it should work). Note: This does NOT mean that your song has been indexed by Chordie, ie. if you use the Chordie Search function you will not immediately find your song in the Chordie database. Eventually, Chordie will find your song and it will be indexed. Next tip: How to “publish” your songs via Chordie, even if they have not been indexed by Chordie. I prepare my ukulele arrangements in chordpro format, and create songbooks using Songsheet Generator. Recent versions of the software have a ukulele mode which allow four-string chords to be printed, rather than the usual six. 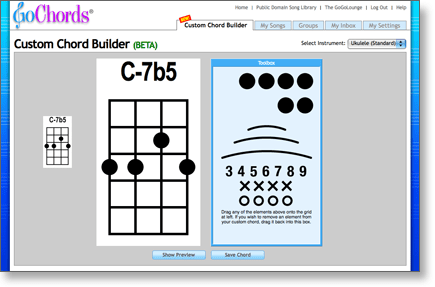 To get this to work, check the “Ukulele mode” box under “Options -> Chords/Grids”. I put together a database of ukulele chords for use with the program. To install, just download the “chordrc” file to the same folder as the Songsheet Generator program. On the Mac the file is named com.tenbyten.SG02.chordrc and it lives in your ~/Library/Preferences folder, where ~ is your home directory. Fixed a problem with in-song chord definitions that appeared in version 1.5.1. Note: the contents of this document apply only to the Mac OS X and Java platform versions of Songsheet Generator. For information about the Microsoft Windows® version, please see the Songsheet Generator web site. You can create your own custom chords (alternate voicings or inversions, for example) for either ukulele or guitar. This was the most-requested feature from our users, and we hope you enjoy it! Keep those suggestions coming!